We want to be up-front about this. 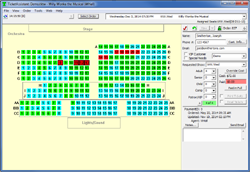 TicketAssistant is designed to be cost-effective for smaller groups. Your one-time cost of the software - $99. Need additional copies of the desktop software? They're free! Want to sell online? $100/year. Plus the cost of credit card processing. Check out the competition - you'll find TicketAssistant offers significantly lower per-ticket cost than any of the other guys. Check out the Pricing page where we spell out exactly what it will cost you and give you an on-line calculator that helps you work out clearly what your recurring costs will be. Complete online sales including multi-level pricing, seating sections. Your customers can select their own seats and purchase online. Mobile device compatible. 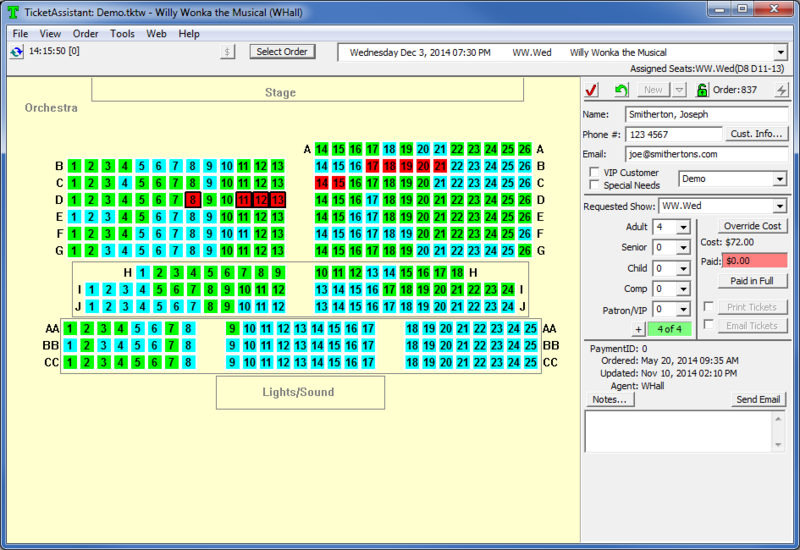 Or choose not to sell online and use TicketAssistant as a stand-alone boxoffice tool. You can always add the online sales features later on! Check out the online sales features. Set up Coupons that can be redeemed online for tickets. Or use as a gift certificate capability. Create promotional Discount Coupons - "Buy 3 get one free" or "15% off" type of offers. Track sales over time and compare with previous in convenient sales graphs. 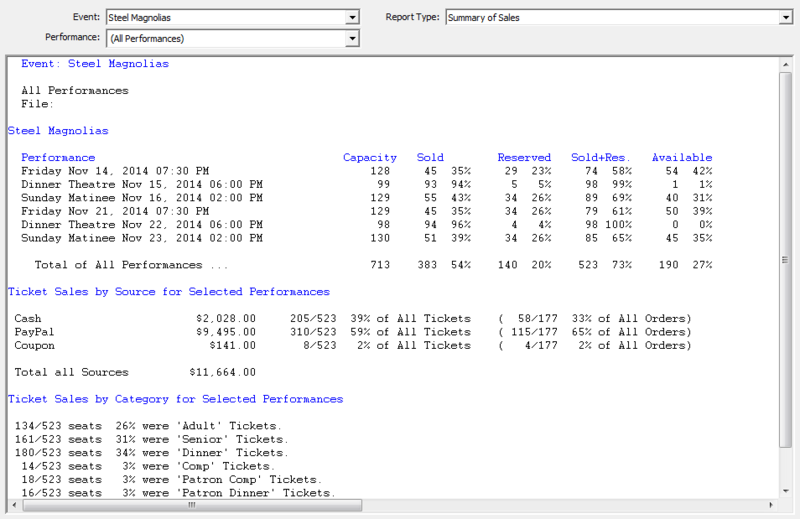 Report command features sales summary and a variety of individual reports to give a comprehensive view of all ticket sales. Most community theatre groups don't have a full-time boxoffice so it can be difficult if customers want to pay cash and shop in person. The TicketAssistant Vendor sales option allows you to authorize a trusted community merchant or vendor to book seats and collect cash payments. Want to issue Coupons or pre-paid Gift Certificates that can be redeemed for tickets online? TicketAssistant can do that. Reserved seating or Open seating. Want to collect Donations from customers as well? TicketAssistant can do that. Fully integrated desktop software and online system. Use the desktop program to set up your performances, pricing, etc. Your Boxoffice staff can use this to quickly enter orders, assign seats, or alter existing orders. Built-in reports help you understand what your sales are at any time. Totally integrated with the online system, so you see what's happening as it happens. Assign Security levels so only selected users can alter pricing, performance dates etc. Add local community promotional advertising to your tickets. Use this as an additional fundraising possibility for your group. Customize with different promotions for different dates or performances.